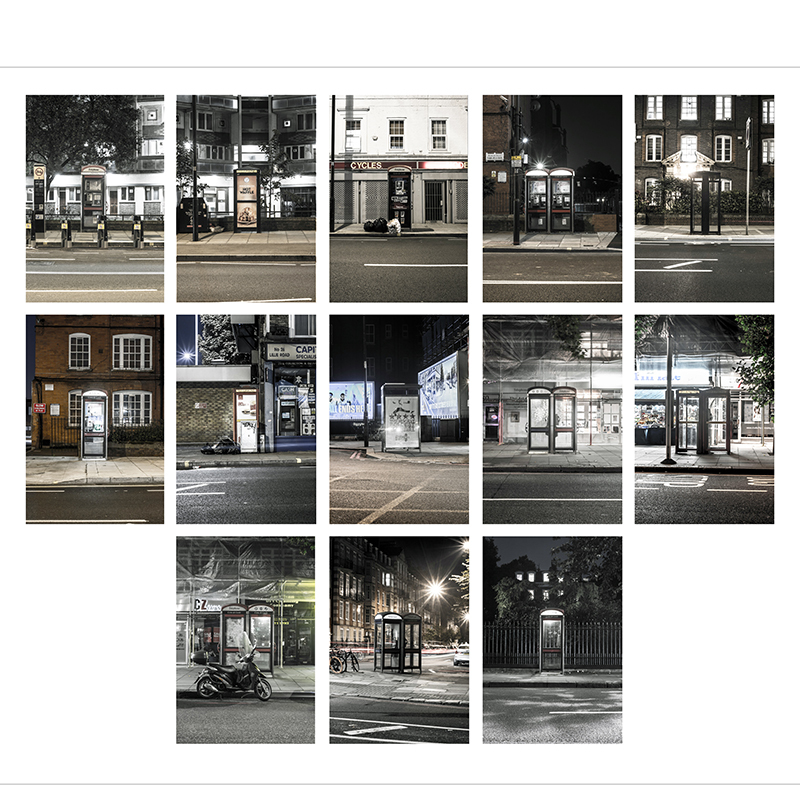 Forgotten phone boxes – A study of forgotten and underused spaces in the city. 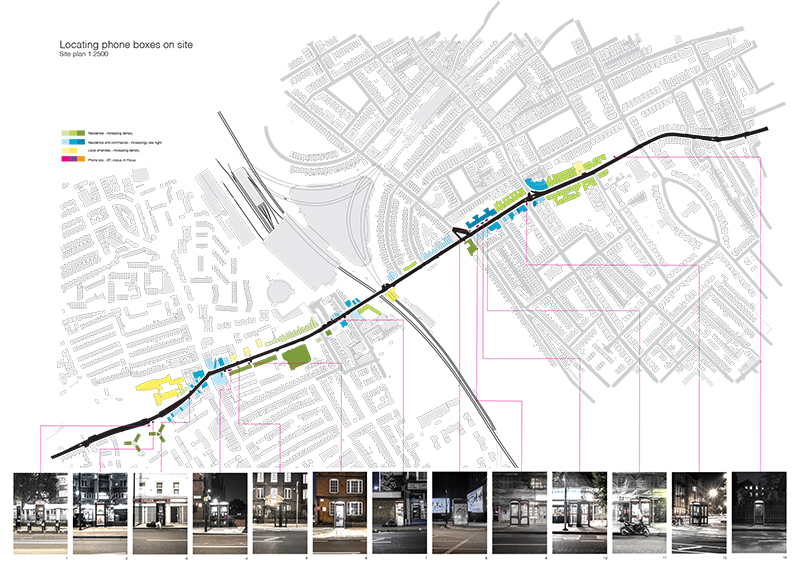 An urban study within a West London road identified a lack of public space. It was impossible to pause and sit down without purchasing something. Phone boxes, 18 in total, regularly punctuated the space. These underused spaces no longer have a positive impact on the community; they are forgotten, dirty and damaged. Their sole function today is the wifi internet services that they provide from within the roof of the phone box. The companies therefore no longer care about the space below, the inside of the phone box, leaving the community to deal with the resulting negative effects. Yet they take up space which could be reclaimed as public, giving local residents a greater sense of community.